available on Google play store to your computer or Blackberry10 directly. 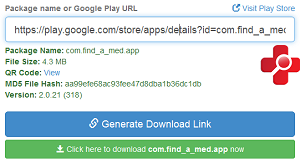 Evozi Downloader: This is one of the best apk downloader you have your apk file already on your pc or device. Download the apk extension here.